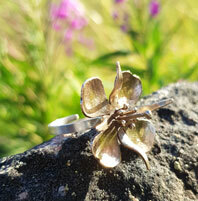 Very beautiful ring of sterling silver and bronze, shaped as a fireweed flower. 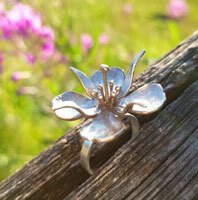 A flower that last forever. Height of ring appr. 20mm. 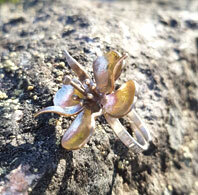 The ring is adjustable but please fill in the size below and I fix the size for you.